Have a killer business idea? A killer business plan can help you turn it into a successful business. Creating a well-crafted business plan is no easy task, however. You'll need to not only flesh out your idea, make some educated guesses and have a deep understanding of the different aspects of running a business — before you even start one. Figuring out how to do this correctly is hard enough, but there are several tools available to make this arduous task a little bit easier for would-be entrepreneurs. Instead of starting from scratch, here are a collection of business plan templates, software, apps and services to help you start a business the right way with a professional business plan. Business plan templates show you exactly what a business plan is supposed to look like and what goes in each section. You can find them as downloadable sample business plans that you can copy and modify to fit your business, or as fill-in-the-blank or question-and-answer forms. There are also different types of business plans: simple business plans that cover the essentials, comprehensive ones that cover every aspect of a business, and those designed for a specific purpose, such as to raise funding or find business partners. Here are some business plan templates worth considering. The $100 Startup One-Page Business Plan. 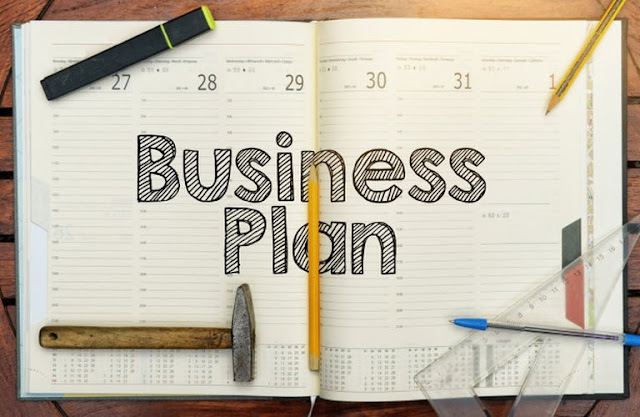 One-page business plans take the fuss out creating a business plan by getting down to the basics of what your business is about and how you intend to meet its goals. Think of it like writing down your business on a napkin, but with a purpose. The $100 Startup's One-Page Business Plan is one such business plan template. Simply answer a few questions like "What will you sell?" "What will you charge?" and "How will customers learn about your business?" in a couple sentences and you're good to go. SCORE Business Plan Templates. Small business resource SCORE has a collection of free PDF and Word business plan templates for startups, established businesses and even nonprofits. The organization also offers additional types of business planning resources and templates, such as financial projections, market research, sales forecasts, SWOT analysis and more. Once your business plan is finished, you can meet with a SCORE mentor for feedback and guidance. Bplans.com. Looking for free sample business plans? Bplans.com offers a wide range of them for all types of businesses, including retailers, online businesses, service providers, restaurants and more. These sample templates come complete with a table of contents and sections like executive summary, company summary, products and services, financial planning, market analysis and other standard business plan sections. Bplans.com offers more than 500 sample business plans that can be downloaded as Word, PDF and other file formats. Rocket Lawyer. If you need to make your business plan a legal document, check out Rocket Lawyer. Rocket Lawyer lets you create your own legal documents and provides access to various legal services. Its business plans section lets you create business plans in three steps: build, save and sign. You can also print and share your business plans for easy access. Rocket Lawyer business plans come with standard parts of a business plan, as well as sections for funding requests and appendix for supporting documents. Find more using our list of free business plan templates for small businesses. You don't have to be glued to your desk to create a business plan. There are several business plan mobile apps that will let you write a business plan anytime, anywhere right on your smartphone or tablet. Here are two worth checking out. StartPad. Recognized by Entrepreneur and Forbes, StartPad is one of the top business plan apps available for the iPad. This app offers a wide range of business planning resources, such as strategic business planning tutorials, professionally made sample business plans, financial projections and other reports. Business plans created on StartPad can also be exported as high-resolution PDFs or printed out. The basic version of StartPad is free to download and use, but requires in-app purchases for additional features. Get StartPad from the Apple App Store. Don't want to use any of the above? Try an online business plan service, which guides you throughout the business plan writing process. The services offer similar tools as business plan software — such as document collections and chart generators — with the difference being that they typically offer business and legal specialists who can help you better understand complex aspects of your business and business plan. Two online business plan services to consider are LivePlan and the SBA Business Plan Tool. Bizplan.com. Need funding? Check out startup.co's business plan service, bizplan.com. This web-based business plan comes with a step-by-step guide to help you build your business plan and optimize it for investors. Business plans can also be completely tailored to your business with logos, graphics, layouts and custom designs to fit your brand. After building your business plan, you can share and publish it on startup.co's crowdfunding site, fundable.com, where you can connect with investors and add elements like photos and videos to highlight your business. SBA Business Plan Tool. The U.S. Small Business Administration's (SBA) Business Plan Tool covers everything from executive summary and company description to market research, product line, marketing and sales, and financial projections in detail. You can also personalize your business plan with your company logo, as well as save, print and update your business plan as needed. Editor's note: If you're looking for information to help you with business plan services, use the questionnaire below to have our sister site provide you with information from a variety of vendors for free.